New name Útgerðarfélag Reykjavíkur hf. | Brim hf. New name Útgerðarfélag Reykjavíkur hf. 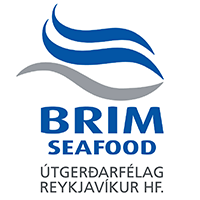 The name of Brim hf. changes to Útgerðarfélag Reykjavíkur hf. This was decided at the company’s shareholders’ meeting on 14 September 2018. Runólfur Viðar Guðmundsson has been appointed Managing Director of the company. The new name of Úgerðarfélag Reykjavíkur hf is the only change and there are no other changes in the company’s business. It is the same ID number and the same VAT number on the company.